Today we are excited to announce the general availability (GA) of Azure IaaS virtual machine backup, previewed earlier this year. In addition to the features made available a few weeks back, this announcement comes with an exciting set of new capabilities such as PowerShell scripting support, improved SLA and monitoring and expanded geographical availability. 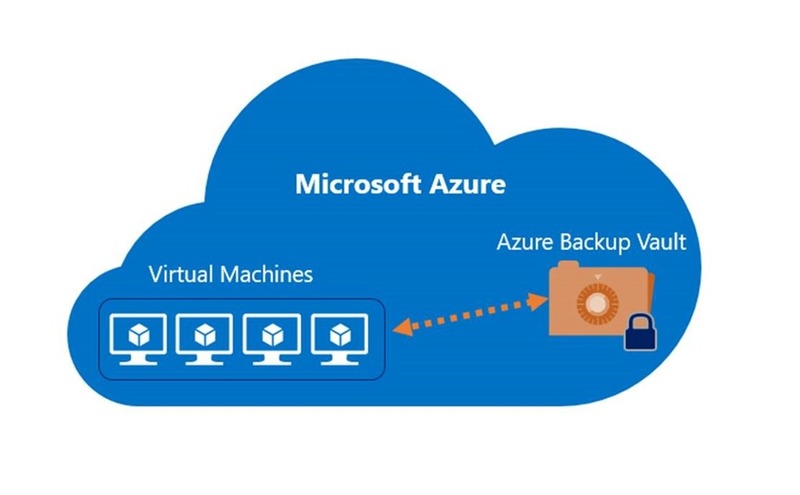 Azure IaaS VM backup provides application consistent backup for Windows operating systems and file system consistency for Linux operating systems without the need to shut down virtual machines, making it enterprise ready solution. Azure Backup transfers snapshots taken on a VM to a secure, reliable Azure Backup vault and can restore the VM in a single click. Backups taken on virtual machines can be retained for long-term using industry standard GFS based retention policies. Azure Backup is built with the following four design principals in mind. Enterprise grade – No need to shut down the virtual machines for consistency; Virtual machines can be protected at scale. Simple – Ability to back up virtual machines with minimal number of steps and with zero on-going maintenance and infrastructure deployment for backup. Efficient – Transfers only incremental changes to save on backup storage costs. Customers can now automate backup management at scale using PowerShell based cmdlets available for Azure Backup. PowerShell support enables key scenarios like restoring backup disks to a choice of storage account and flexibility to create the restored VM with desired configuration using familiar Azure PowerShell cmdlets from restored disks. Significant enhancements made to the service improve the backup performance for virtual machines with multiple large data disks. Improvements to Registration time of virtual machines reduce time to configure backup. Azure Backup is now available in all public regions where Azure IaaS virtual machines are present. Customer triggered and system initiated action on behalf of customer is logged in operation logs for auditing requirements. Notification emails can be sent to administrators, co-administrators or to a custom email address on the status of jobs identified as part of backup management. Error messages and recommended actions for failed operations provide additional details for troubleshooting. They're linked with documentation to provide detailed troubleshooting information. Setting up backup for Azure virtual machines can be achieved in three simple steps. Protect the registered virtual machines by associating them with a policy that defines a backup schedule and length of retention time. In case you don’t have vault, please start by creating an Azure backup vault in the same region as virtual machines that you want to backup. Also watch a great video by Corey Sanders on IaaS VM backup. • Learn more about Azure Backup. • Looking for documentation? Check out the Azure IaaS VM backup documentation. • Click for a free Azure trial subscription. • Need help? Reach out to Azure Backup forum for support. • Tell us how we can improve Azure Backup: contribute new ideas and up-vote existing ones! • Follow us on Twitter and Channel9 to get latest news and updates.